A mother’s love is constant, quick to give and unconditional. That is exactly how CEO Chris Aldrich feels his mom works, specifically her fast Facebook liking skills. Unfortunately for him, its killing his chances of reaching his audience on the social media platform. Aldrich, who has degrees in electrical and biomedical engineering, mostly publishes about technology, information theory, and math on his blog and then shares it on his Facebook profile. Things his mother probably wouldn’t be able to understand, but that doesn’t stop her from quickly clicking the like button whenever she sees his posts. Too bad, his mother’s love is keeping him from reaching the people who would be actually interested on social media. In fact, it was keeping around 90% of his posts from being seen by his audience! Last winter, Aldrich began to believe that his mom-likes, or mom-autolike as Aldrich called it, were affecting his reach to his target audience for his Facebook posts. So, he decided to use Facebook’s privacy tools and exclude her from his preferred audience. For a long time now, Facebook has allowed its users to influence who see their posts. 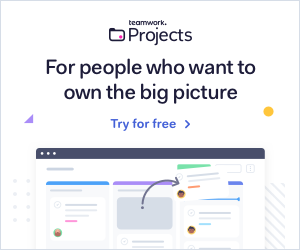 The social network allows for very specific audience targeting, for both personal and business pages, up to the creation of special pre-defined groups and the exclusion of specific people. Using this, Aldrich was able to post his blog content from his website while ensuring his mother didn’t see them. After a day or two, he would then switch it back to public where his mother would automatically “like” it. The results of his experiment were both interesting and disturbing. When Aldrich’s mother liked the posts, the website’s algorithm would then believe that the post is something family related. The algorithm then narrows the audience the post will reach, focusing on other family members. When other family members start to like it, the audience gets narrower; focusing on the related/mutual friends or family in their social circles. When his mother was added to his seclusion list, Aldrich saw a large growth on his posts’ exposure and reach, as well as engagement, as people who were actually interested in his topics finally saw his blog posts. According to the data he collected, about 90% of the posts he published to everybody but his mom received far more impressions. This would mean that Facebook’s algorithm may be blocking many from reaching a wider audience due to the niche of the first person to like it. Aldrich wrote a blog post about his findings, and soon picked up steam by other tech blogs and websites. The Next Web contacted Aldrich and asked about his collected data. Aldrich stated he is unsure about actually releasing the data, claiming it was such a small sample that it doesn’t hold any scientific weight. He does hope that with the blog’s viral-ism, that Facebook may be able to start working on improving their website. 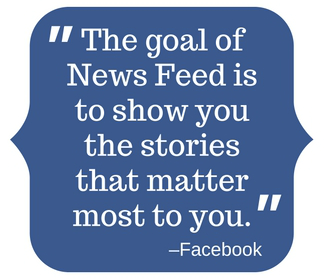 Have you come across anything like this on your Facebook page or other social media? Let us know in the comments below.